If you're in town on August 3rd, please, come play with us, and learn from Michael Davis. August 3rd, Lafayette, CA - A One day seminar for all brass instruments featuring guest artist, Mr. Michael Davis - internationally renowned composer, clinician, and rock star! He's played on countless recordings and jingles, toured and recorded with Frank Sinatra, Buddy Rich, and is the trombonist with the Rolling Stones! Gala concert featuring YOU, Mr. Davis, and surprise guests! This is put on by one guy, me - It's not subsidized by a school/institution/etc - I'm providing the facility, music, clinician fees, facility fees, etc. I want to give something back, as I had many teachers who have helped me--I wanted to provide a great opportunity for my students, and everyone who's interested. Because I love you - and I don't want you to miss out on a great opportunity. 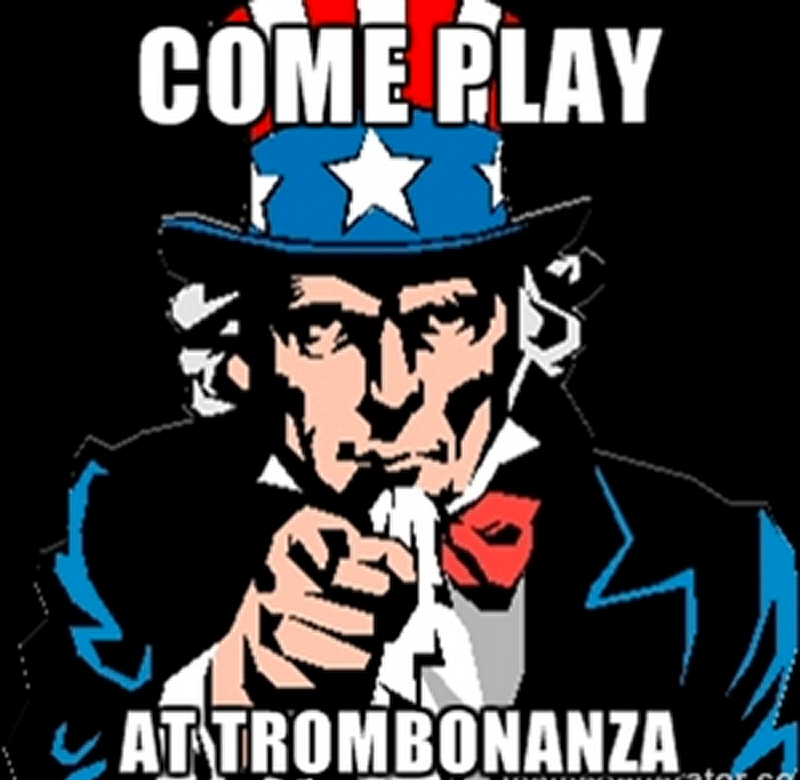 An event like this is great for brass players of of all ages and abilities. You normally would have to travel across the country or globe and pay a lot of money and invest a lot of time to have this kind of opportunity. I wish I would have had the opportunity to attend something like this when I was growing up--that's why I'm going through the effort of putting it together, to help others in their musical development, have fun, and serve the community. In an effort to make it easy, and a no brainer for you, I'm trying something out, and was wondering if you could please help me out. Provide a scholarship for a student who is not able to attend. If you don't know of someone, we'd be glad to coordinate with you, and we'll followup so you know your donation was put to good use. Hope to see you soon, my friend! - Could you please be a pal, and forward this to your friends/colleagues/brother's college roommates' dog's best friend? Thank you very much for your time, and support!